With orders in hand and a moving date set, you’re ready to roll with your upcoming PCS! 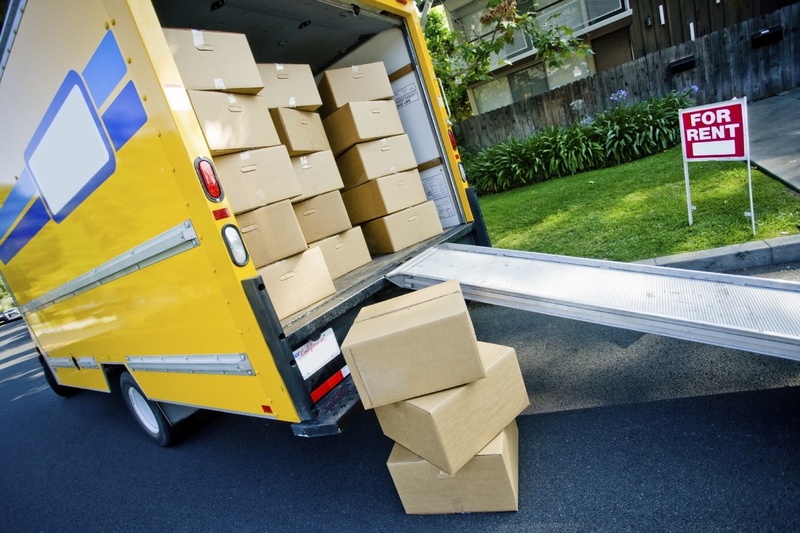 Here are a few quick tips to consider before the moving truck is parked outside of your door. While organizing your calendar for the busy time frame ahead, consider planning play dates for the kiddos in your family on the packing and moving dates. Sometimes children are upset to see their belongings boxed up. So, if the young ones are out of the house enjoying time with friends or family, it may make the transition towards “goodbye” a little bit easier. If you have pets in your family, planning ahead for the safety and security of four-legged friends is also a good idea. Ensure that they are secured in an area away from the bustle of the packers and movers or arrange for them to be out of the house. If you live in a city with narrow streets, as soon as you are given a scheduled moving date, apply for a city “moving van permit.” Also called a “transportation right of way permit,” this paperwork will be an official explanation for any obstruction caused on your street. With the initial assessment of goods, the moving company representative may note the need for this permit and have the company file the paperwork. If not, by filing the paperwork yourself, you have the proof of permit in hand, making it a little easier to knock on your neighbors’ doors to request them to move their parked cars. Moving in and out of the narrow streets of Arlington, Virginia, we also faced issues with low hanging utility lines. When our assessment representative came through, we clarified the need for the truck driver to have an associate in the cab with him. The associate could lean out of the cab with the brush of a large push broom and lift up the draping wires, just long enough for the head of the van to sneak under them. If the assessment representative realizes the large van will not be able to navigate down your street, the moving company may need to load the goods into a smaller truck and shuttle them to the large van. This shuttle process is labor and time intensive. Consider plans to be extra gracious to your moving crew if they are tasked with this double duty! It’s best to find new homes for your plants before the movers arrive. If you plan to keep them with you in the car, begin watering them a bit more than usual the week before your pack out. If well hydrated, it may help give the plants a better chance at surviving travel. Keep in mind, there are Department of Agriculture restrictions on transporting plants from state to state. Although other pieces of furniture will need to be emptied before moving, the packing crew usually leaves the contents of dresser drawers as is. With this in mind, make sure the dresser drawers are only filled with clothing or soft goods. Remove any fragile or heavy items to be packed separately. As you anticipate your moving day, it’s helpful to go through your cupboards and shelves and remove anything perishable or flammable you may have forgotten. Look for items that may leak or explode under pressure, such as aerosols, ammunition, paint, turpentine, etc. Most moving companies will not pack these items. Additionally, it is important to drain the fuel from your mower and other machinery before transit. 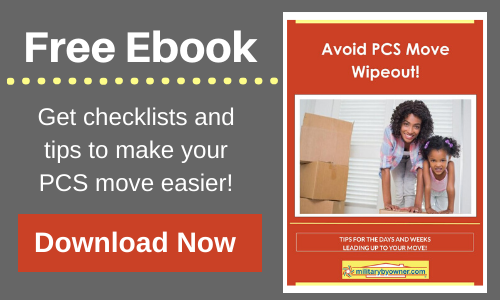 While waiting for the whirlwind of your move to begin, browse MilitaryByOwner's resource articles and blogs for further PCS tips, and enjoy the remaining time in your current assignment!